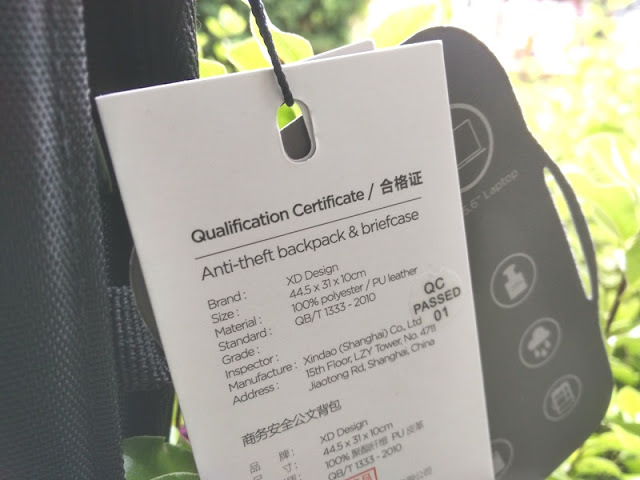 When carrying all your electronics around, it makes sense to have a backpack that can safeguard your valuables from theft and damage. 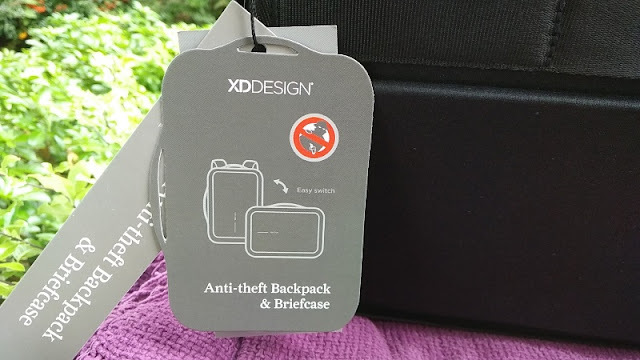 The 10-litre Bobby Bizz backpack by XD Design features the anti-theft features of the original Bobby Backpack so you get hidden zippers that make it impossible for anyone to access them. 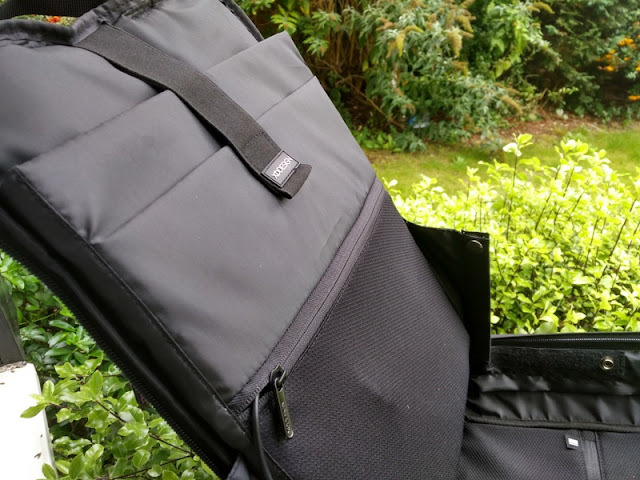 Another safety feature you get with the Bobby Bizz is a PP (Polypropylene) board and lightweight metal frame, making it virtual impossible to cut through the Bobby Bizz bag. 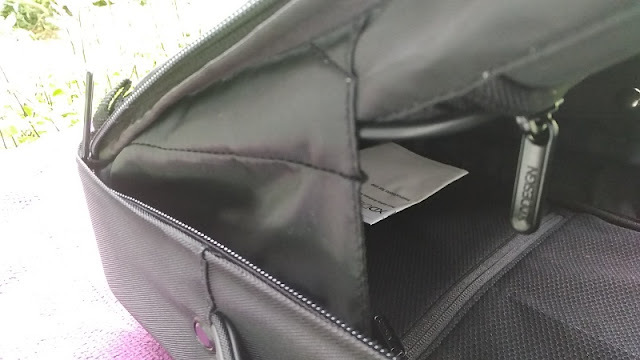 Aside from helping to protect the contents, the metal frame also prevents the Bobby Bizz bag from deforming. 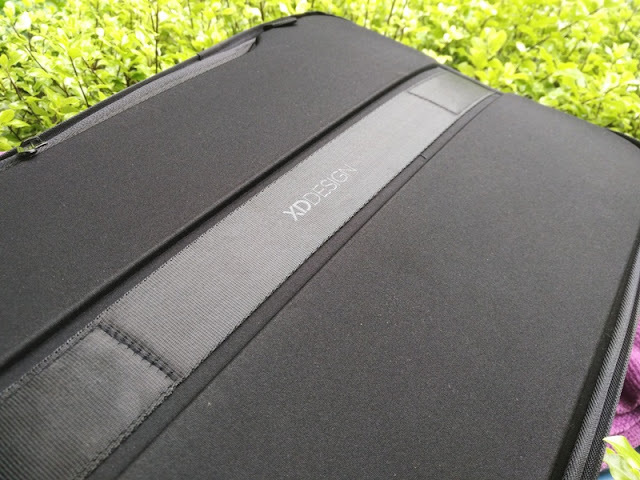 The Bobby Bizz doubles as a nifty business meeting briefcase and comfortable commuting backpack with easily accessible pockets to keep things like travel cards and a smartphone at hand. 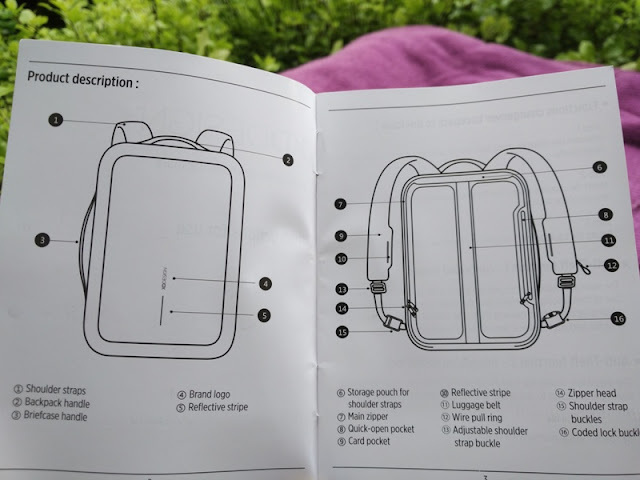 The exterior of the Bobby Bizz anti-theft backpack features water repellent polyester and safety reflective stripes. 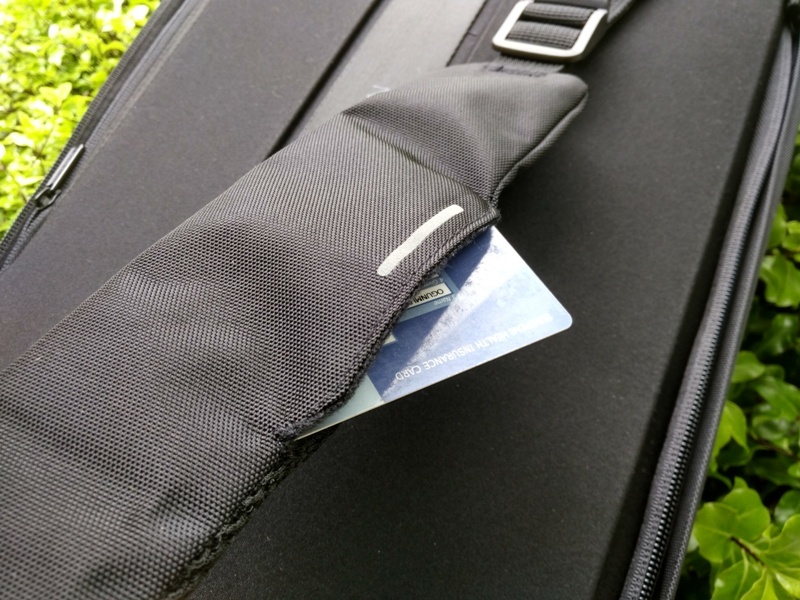 The Bobby Bizz cannot be cut open thanks to the knife-proof inner layer. The Bobby Bizz shoulder straps can be easily and quickly hidden to turn the Bobby Bizz backpack into a professional briefcase. 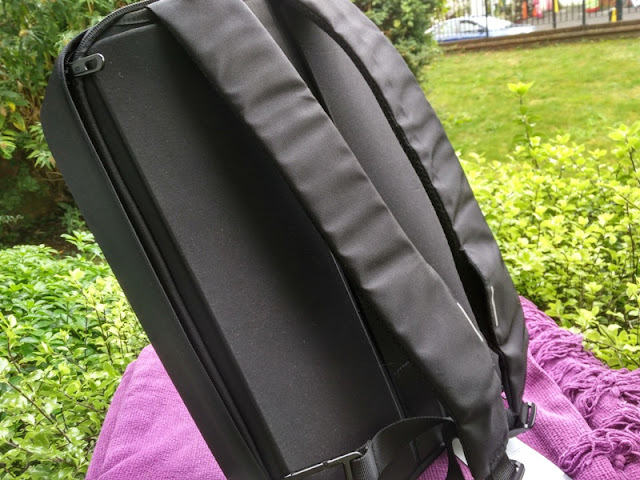 Likewise, you can easily turn the Bobby Bizz into a backpack by slipping out the shoulder straps and clipping them to the side loops. 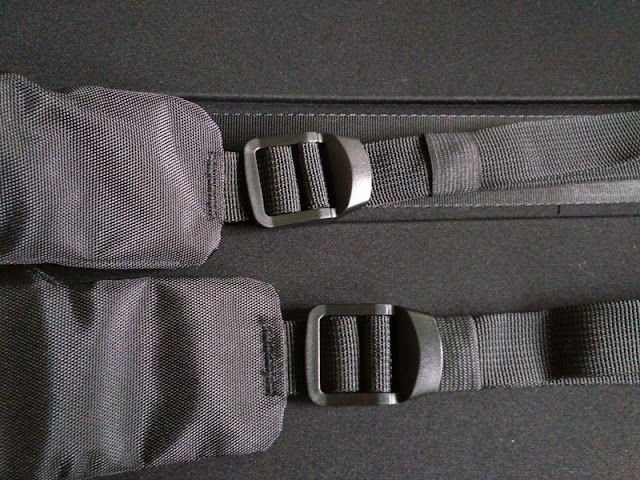 The shoulder straps can be adjusted to different heights and have decent padding as well as breathable mesh on the back and hidden storage pockets. 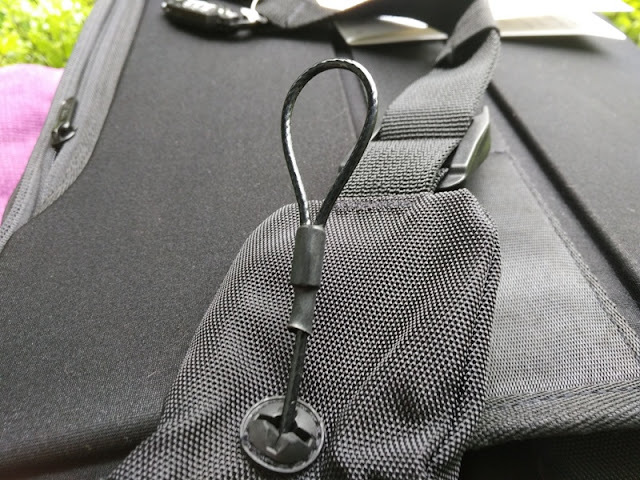 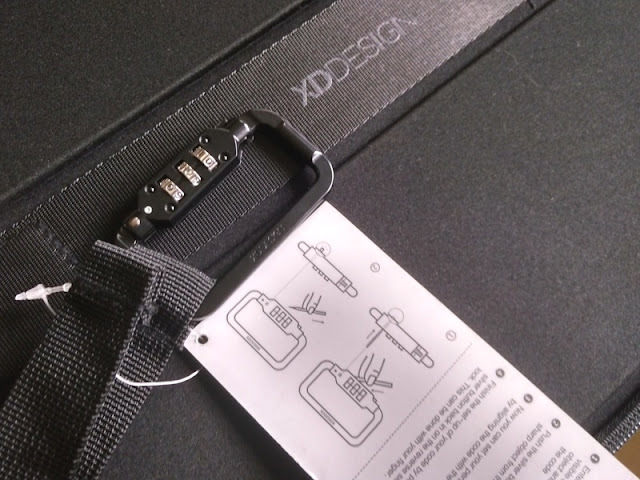 The code lock clip you see in the image below comes attached to the left shoulder strap and is designed to work in conjunction with a steel loop security cable to lock the Bobby Bizz main compartment double zips and to also lock the bag to a table or chair. 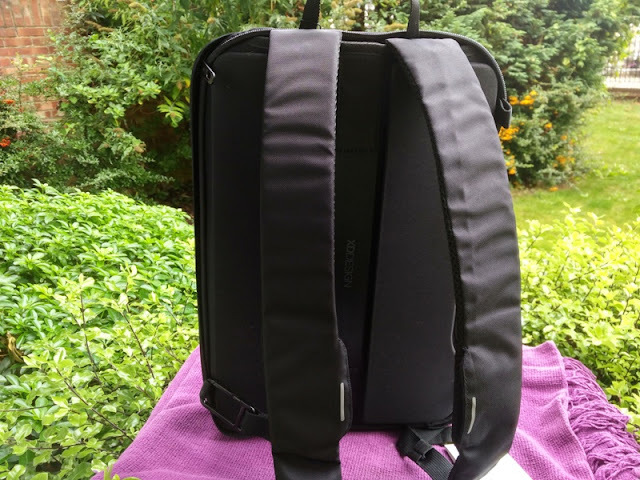 The Bobby Bizz backpack measures 44.5 cm high, 31 cm long and 10 cm thick. 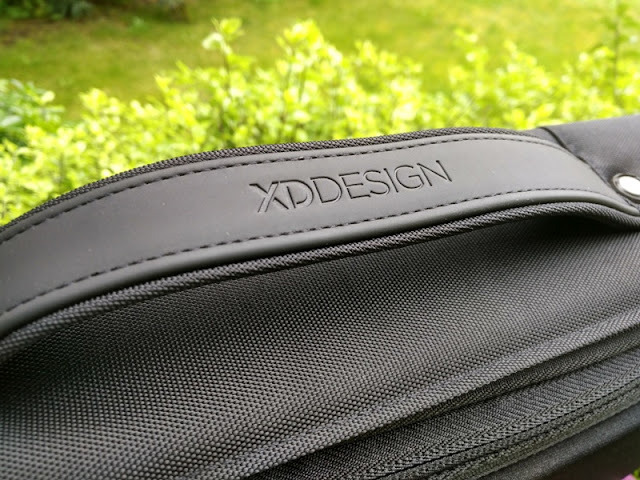 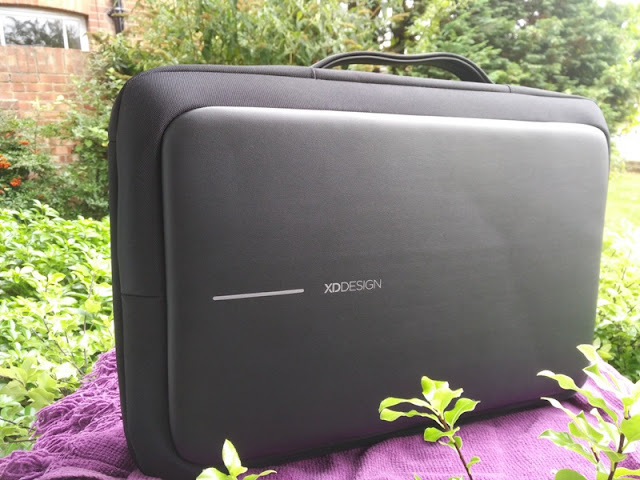 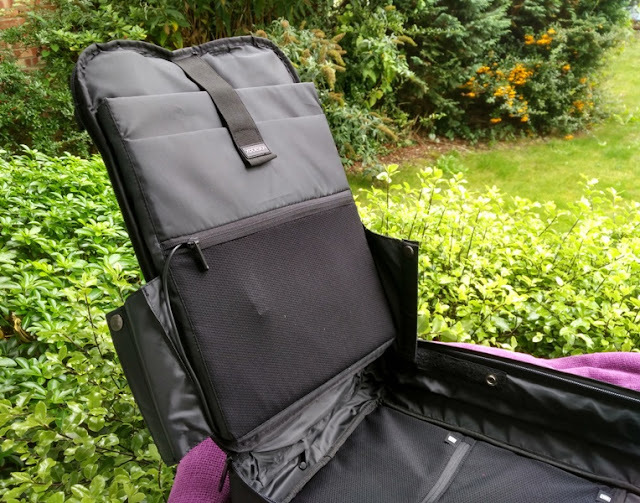 The laptop pocket can fit a 15.6 inch laptop, while the tablet pocket sleeve can fit anything that is 27 cm high and 29 cm long like a 9.7-inch iPad. 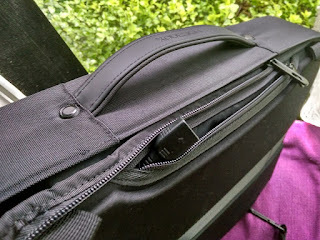 As far as the internal compartments, the Bobby Bizz is nicely padded internally to prevent gadgets from being damaged. 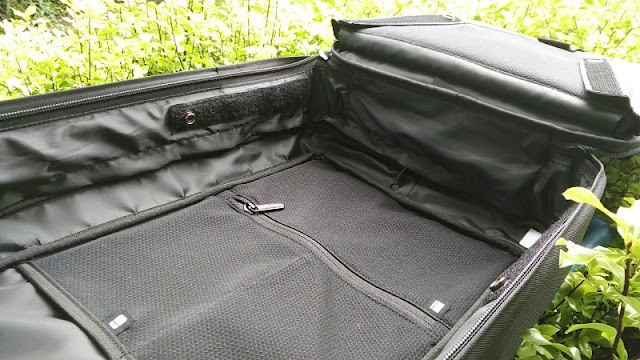 You can open up the Bobby Bizz vertically and horizontally. 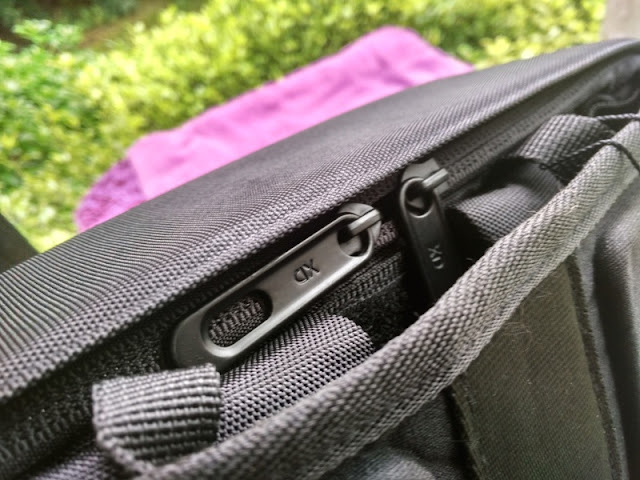 Vertically, the Bobby Bizz backpack opens up 30 degrees thanks to velcro-clipped side catches to prevent items from falling out. 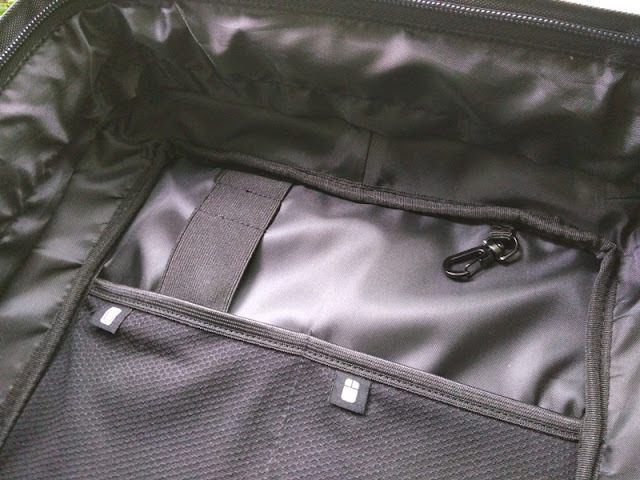 These side catches can be easily detached to allow the Bobby Bizz to open up 180 degrees horizontally all the way. 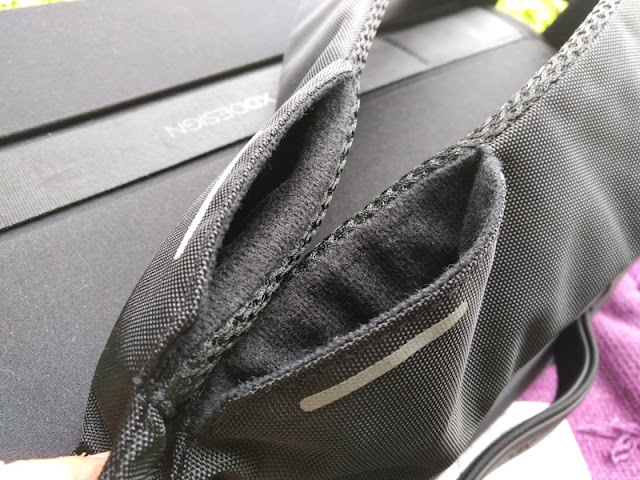 The front internal pockets are all protectively padded and you get a total of two zipped compartments and elastic organizer, as well as a key clip and mesh pockets to store various items. 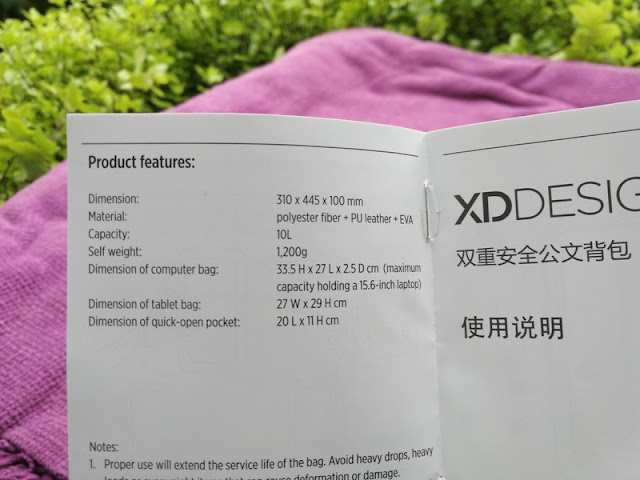 Both the mesh phone pocket (left) and mesh mouse pocket (right) measure 12 cm long and 16.4 cm high. 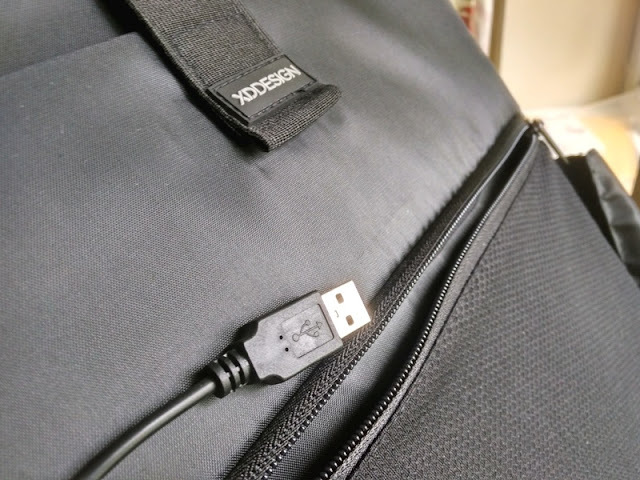 The Bobby Bizz features also an integrated male to female USB charging cable that allows you to hook a powerbank so you can charge your gadgets on the go. 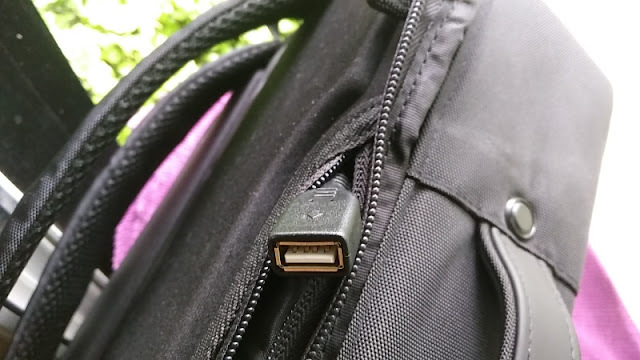 The USB male end is located inside the internal front zipped pocket, while the the female USB end is discreetly located inside a hidden side pocket (this pocket is big enough for to store a smartphone). 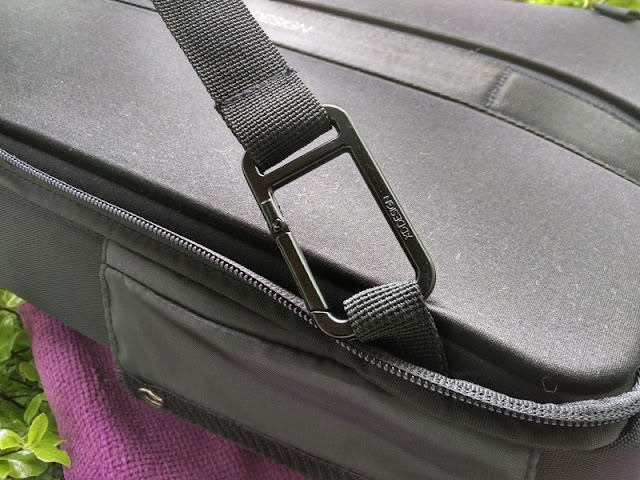 The Bobby Bizz can also be hooked to a rolling suitcase thanks to a strap running across the back of the Bobby Bizz backpack that allows you to piggyback the Bobby Bizz backpack by sliding it down the telescope handle of a suitcase.